Not a particularly old fellow but I feel for someone arriving in a foreign country losing both luggage as well as a passport. Good of tourist police to render proper assistance. Why not investigative who there steal from him??? Yes, that is called being the la la la land. They basically offered him a free bus ride to the airport. The luggage had been recovered independently, minus the cash. Doesn't strike me as a particularly helpful assistance. Cue a taxi-returns-lost-money story. Something doesn't add up with this story. All seems rather odd. 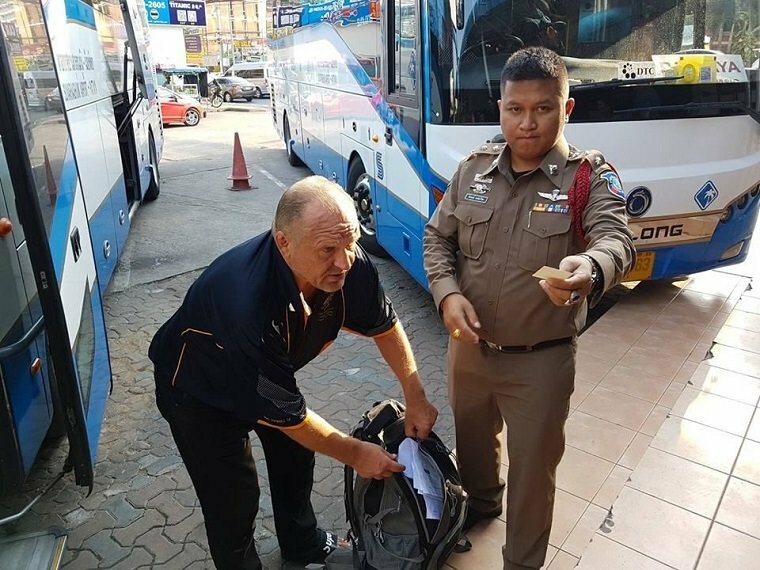 Yet again we see the mutual back slapping and praise for the Tourist Police for simply doing their job, and seemingly not very thoroughly. I dare say they simply thought this one is at the end of his stay, so will mostly be spent up. What money he had left had already gone missing, so he served no further purpose. Let's get rid of him and pack him off home as soon as possible. The only other possibility is that it is all just another lame propaganda stunt. Reading the link I got an impression of them wanting to pack him off back to Finland ASAP before he brought any negative publicity down on the hotel. I can relate (although slightly off topic). I was leaving Thailand at Don Mueang on Tuesday eveing to head back to Yangon for work. It was very, very smooth at the airport (Lion Air) but when I got to the immigration counter, the Immigration Offcier pointed out that my departure card was missing! Horror! However, we was wonderful and simply attached a blank one and told me to fill it before I went to get my re-entry permit. In the re-entry permit office, the staff were very freindly and the on-duyt seniot officer sat with me and chatted while they prcessed my permit. All in all a very good experience and not what I would expect from DMK. I am the first to point out the issues normally but here, credit where credit is due. Police in most countries would help a tourist in this situation... here it makes headline news as some kind of marketing strategy. Could it be that they were happy to facilitate a farang leaving? Did you not read about his experience at the re-entry desk?